When someone asks you to say a few words it’s the ‘few’ that’s important not the ‘words’. No-one ever complains about a speech being too short. If you’ve had no time to prepare simply follow the Golden Rule. Flatter the audience, laugh at yourself, thank everyone, shut up, sit down. On the other hand if you’ve been asked to make a proper speech and you’ve been given advance warning then you need to prepare. However the Golden Rule is exactly the same. Flattery, self-deprecation, thanks, shut up, sit down. In a longer more important speech you need to use the secret structure of all great speeches. This is the secret which allows you to make a thirty minute speech without notes, without slides and without having a nervous breakdown. This secret is that you are only ever allowed to say three things. That means you only ever have to remember three things. Each thing can in turn have three parts but it has to be exactly three. Wherever you are in a speech you’ll always know that you’re either making the first point, the middle point or the last point. In comedy too there’s a rule of three: you say something once to introduce it, you then repeat it to establish the pattern and then finally you undermine it for the punchline. Preparation is vital but so is delivery. Remember that the audience will always feel how you feel. Look nervous and they will get nervous. Look supremely relaxed and they will relax too. Pace is important in a speech. The inexperienced start fast and end slow because they’re nervous to begin with but then start to relax as they realise the worst (for them) is over. Far better is to start slow which shows you’re completely relaxed and then pick up the pace to keep energy high as you near the end. Finishing a speech is as important as beginning because it’s the last thing people will remember. A toast obviously is a great ending – instead of you sitting down everyone else stands up. That’s always a good energiser. But then that’s it. Don’t dribble on with a few more points. If you’re not doing a toast save the best bit in the speech until last. Hit them between the eyes and while they’re still enjoying it, thank them and sit down. Never, ever do an encore unless you’ve actually forgotten the main point of your speech. However brilliant you’ve been in your speech, getting up again will always be an anti-climax. Quit while you’re ahead. 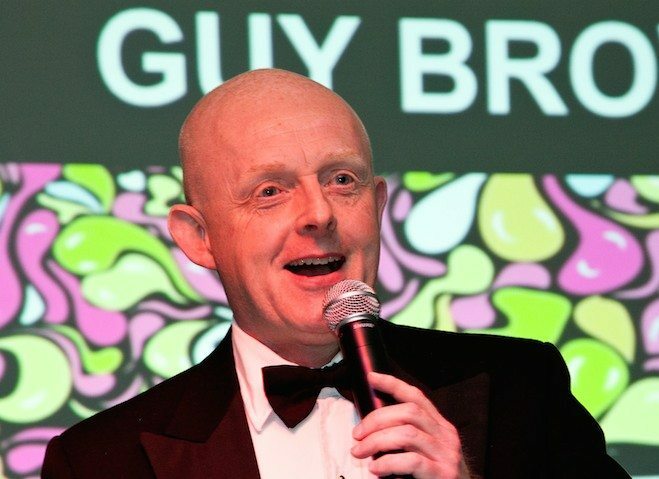 Guy Browning is a branding expert, business author and writer who has delivered over 400 speeches for JLA.